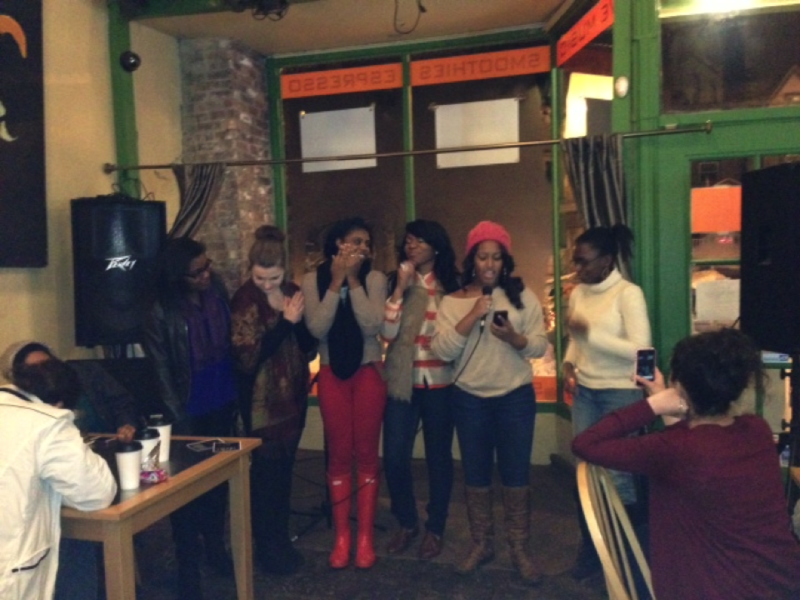 A few of my Strose buds performing at Tierra Coffee Roasters. 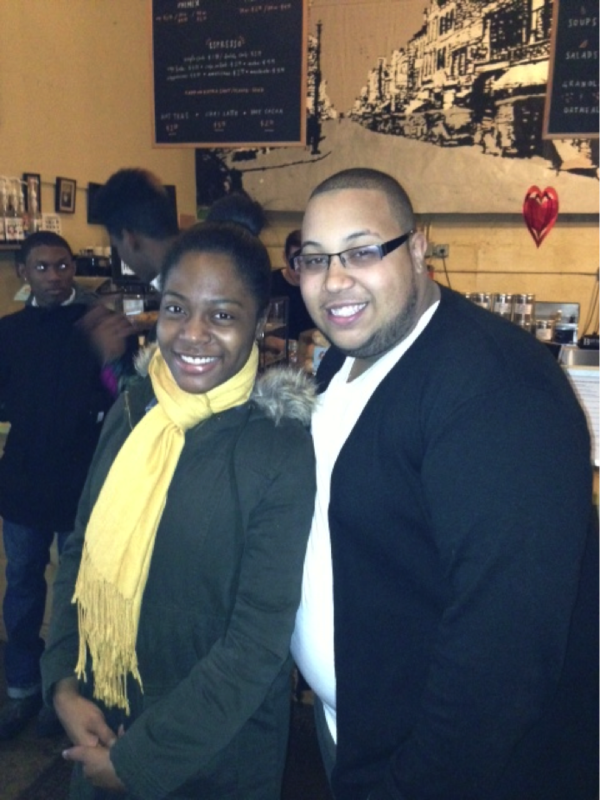 Mark Jones, President of Spectrum, and I at Tierra Coffee Roaster for poetry night. Black excellence. The poetry slam was its first event, on Friday February 15th there was a gospel night in the Interfaith Sanctuary at 6:30 pm. The fashion show is the last event which will be in St. Joe’s at 7pm on Friday, February 22nd. 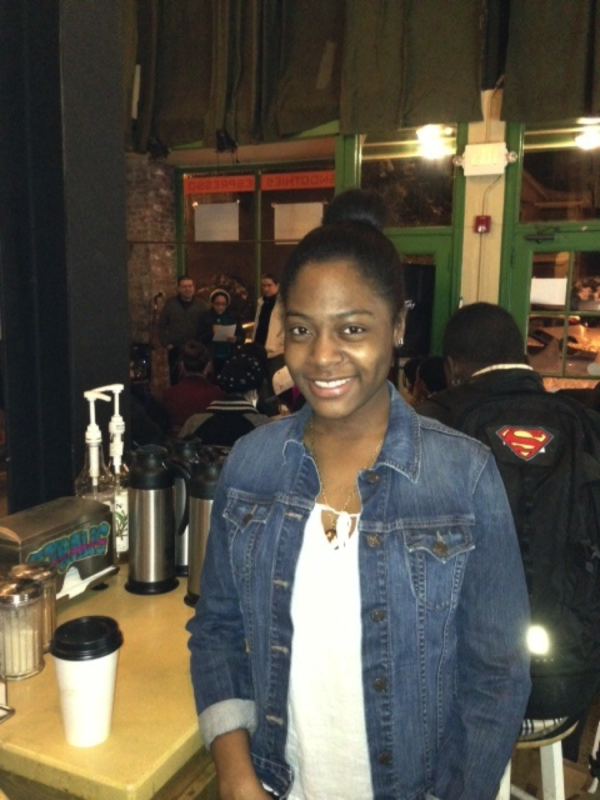 Poetry night was held in a cozy little café right next to Madison’s movie theatre called Tierra Coffee Roasters. It is on Madison Ave and North Main street. As many times as I have walked to CVS and Price Chopper I do not think I have ever realized there was a coffee spot there. When I first walked into the café I saw it was a full house. I smiled and waved to a dozen of familiar Strose faces. One of my good friends, Daniella Watson, was the host for poetry night. She recited the poem “Phenomenal Women” by Maya Angelou. She even did a few other self written poems. As I watched her perform I saw the passion in her face and heard the seriousness in her tone, I was truly inspired. I was not only inspired by Daniella but by every person who went up to recite a poem. The poems ranged from discussing the struggles of African American people, to finding that special someone and much more. My mind was intrigued about the way the poets eloquently used their words, creating these complex metaphors and analogies. 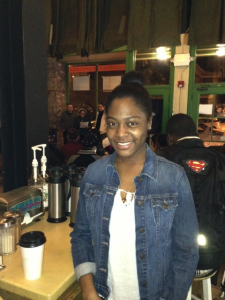 Enjoying myself at Spectrum’s poetry slam! ← Thinking About Graduate School?